This futuristic robe was worn by the character “Kaleel” portrayed by legendary actor Jack Palance in the hit television series “Buck Rogers in the 25th Century” which ran from 1979 – 1981. 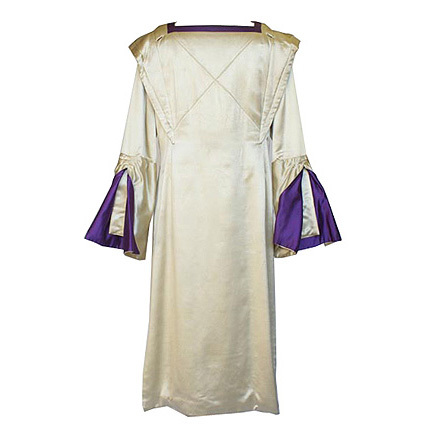 This garment is constructed of a heavy white satin material with purple trim around the square necked collar and flared cuff sleeves and was custom made for use on the series. 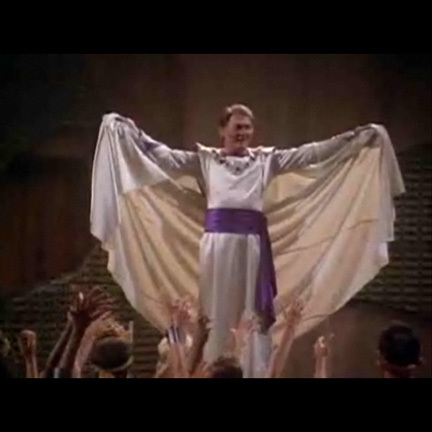 Mr. Palance wore this robe in multiple scenes of the two-part episode “Planet of the Slave Girls” (Season 1, Episode 3 and 4). 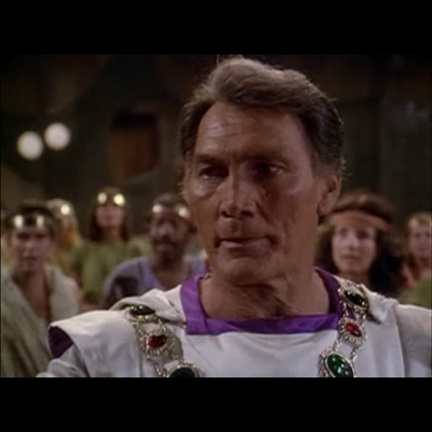 In the episode, Palance portrays the evil Kaleel, a mutant with deadly glowing hands who seeks to weaken Earth’s defenses by poisoning their food supply and is met with resistance from “Buck Rogers” (played by Gil Gerard) and “Col. Wilma Deering” (played by Erin Gray). 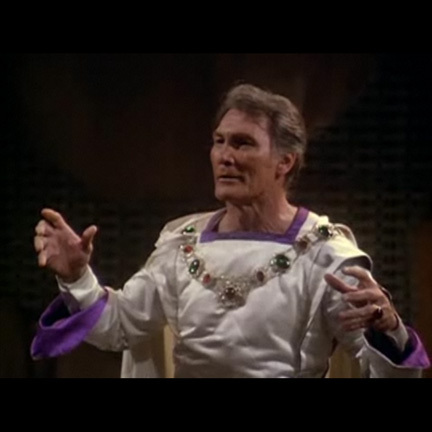 The two-part episode also featured performances by Roddy McDowell and an un-credited Tim Robbins, as well as featuring a rare cameo appearance by Buster Crabbe, who played both the original Buck Rogers and also Flash Gordon in the early serials. “Buck Rogers in the 25th Century” won an Emmy in 1981 for Outstanding Achievement in Music Composition for a Series (Dramatic Underscore), and costume designer Al Lehman was nominated for an Emmy for his outstanding work on the production in both 1980 and 1981. The garment is in excellent screen worn condition and is accompanied by a letter of authenticity from the costume house.